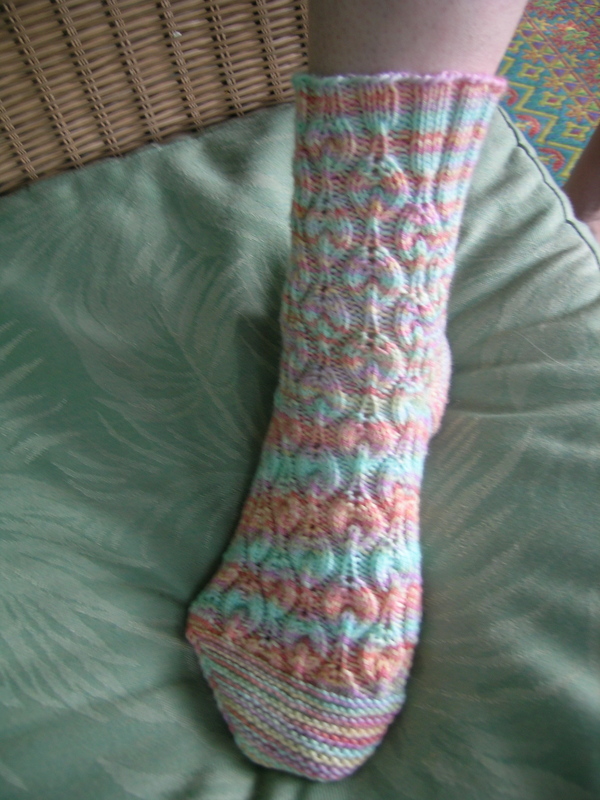 I finished the first of a pair of socks from the STR sock club that have been waiting patiently for me for 2 years. I have stated in the past how their sock yarn is not my favorite, and you could never do fair isle with it—that is if you wnated to actually wear them. 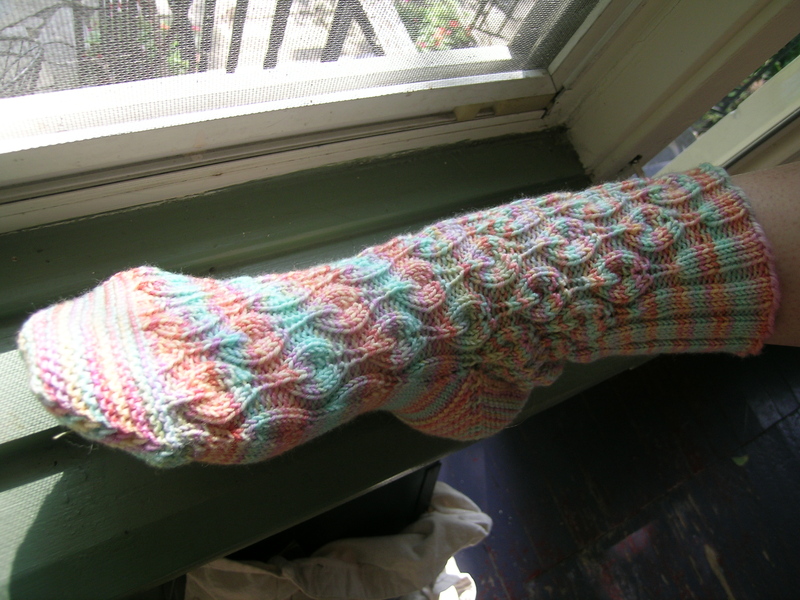 The yarn is thick. I was less than enamoured with this pattern, and still don’t like the cuff as it flairs out. But…in trying them on, I love the way that they feel. The pattern and the garter stitch heel and toe are so soft and squishly. Mind you, these would never fit comfortably in a pair of shoes, they will be indoor only socks. I wish that I had done one more repeat. I was nervous, as I have had barely enough yarn for the socks from this club in the past, and didn’t want to go beyond the reccomended length. Now, somewhere I have one last pattern to knit up from that club. I am keeping these, and I think the last pair that I will make. Just wish they used a different base yarn, as the colors are really beautiful.